There is a new science communication project in Spanish. A free online magazine of science communication called Journal of Feelsynapsis. This initiative comes from an online community of scientists called Feelsynapsis and the passion for communicating science of Enrique Royuela. I take part on this amazing project and I have two articles in its first issue. One of them is an interview with Bora Zivkovic that you can find translated into English below. I hope you like it. 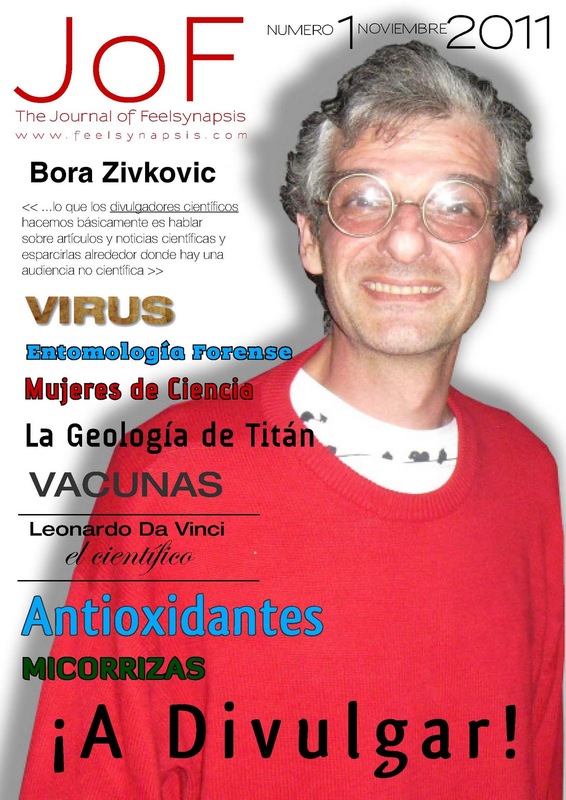 This is the first issue of a new online magazine of science communication, so there is no better way of starting it than with the interview with one of the best known science writers and bloggers in the online world: Bora Zivkovic. Bora is the chief editor and community manager of the Scientific American blogs network. In addition, he is a chronobiologist, biology teacher, organiser of the Science Online Conference of North Carolina and editor of the Open Laboratory anthologies with the best science writing. But above all, he is a blogger who has been around for seven years in social networks and online communities, who writes his blog A blog around the clock and who tweets all the time from his account @BoraZ. 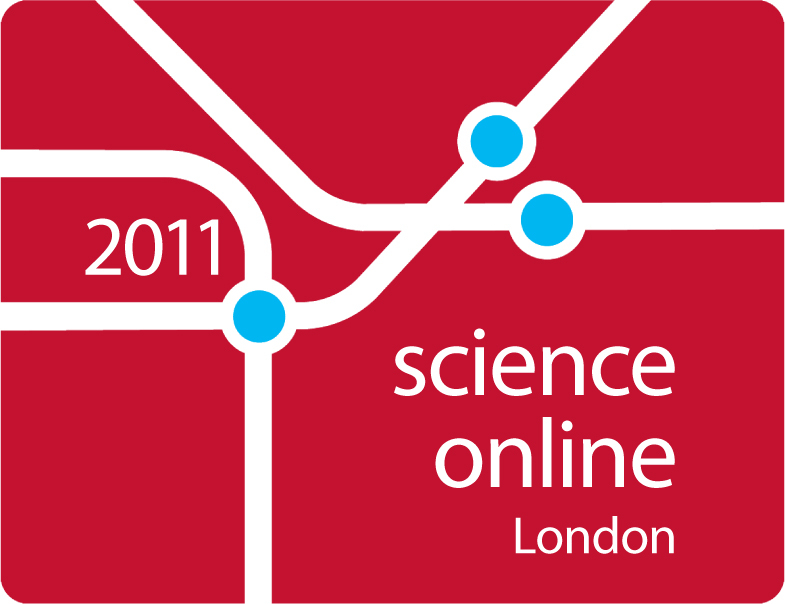 At the beginning of September I had the pleasure of taking part in the Science Online London 2011 Conference that was about how communicating science is changing mainly in the online environment. I met Bora there and we had a very interesting chat/interview about science communication that I want to share here with you. I hope you enjoy it as much as I did. 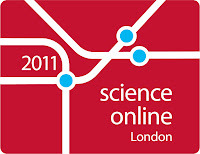 Q: What’s the role of science communication online nowadays or what should be if there is a difference? A: Well, that’s not an easy question. What’s the role or the goal of any communication? Is it affecting change? Or is it educating? Or amusing, entertaining? Science communication can do all of that. But you have different audiences. Because other scientists are one audience and general public who finds science interesting or fun is another audience. But for some topics it needs to fire up a lot of people to affect or change policy or personal behaviour at country wide level. Your communication is going to be different depending on what your goal is. And how online and offline differ is that what you reach online can potentially be bigger if you are doing it right. But it’s also going to be more random who is going get it. So, if you are using email, letters, phones, flyers, is going to a very targeted audience, and it may be slower and less efficient. In essence that is going to be less people who are going to get it but you can target it very well. But putting stuff online, everybody is going to read it. Your enemies are going to read it, your friends are going to read it, even the people who don’t care are going to read it. So you are hoping there is going to be some people who have not thought about before, but who are going to be fired up by what they just read. And that’s where blogs, twitter, facebook, google+ and all these things are coming in. Because what we science communicators basically do is taking scientific papers and news and spread them all around where we have a lot of non science audience. So my family, and my friends from high school and my friends from facebook, they are going to occasionally click on the link that I posted on facebook and say “Wow, this is cool, I din’t know this” and they share it with their friends and those concentric circles are going to reach people who are not going to actively seek scientific information. Somebody who reads and cares about science will buy Scientific American but most people won’t because most people don’t care. Or most people don’t know they care, or they don’t know that science is fun. And if you try to reach them, for that, the web is really really good because everybody is online. Q: So the networks are really important for that I guess. And could you tell me up to five qualities or adjectives of good science communication? A: PASSION!!! You have to be generally excited about the story you are telling which is one of the reasons why blogs are successful. Because bloggers don’t get assignments. You hear stuff, you read stuff and you suddenly get excited about something and that’s what you write about. So passion is the most important. The second is to write about things that you know. If you are a scientist write about your area of expertise. I’m not going to write about physics because that is not interesting to me or it would take far too much work for me to get it right. So I’m going to link it to a science blog who does it much better, who can do it in twenty minutes, as I can do a circadian story. So there is this division of labour between the blogs for each one of us to jump on the stories that we can actually say something intelligent from a perspective of expertise and with passion. So this is not five but it’s enough. Q: Well, 5 was just a random number. You have talked about scienctist writing about their field of expertise, and you were a scientist and switched to just not doing much research… how this happened, why did you take the risk of making that change? Because is kind of a risky change. A: It’s one of those things that happen. It’s not that I sat down, saw the pros and cons and made a decision. I was in grad school for ten years. I published five papers. I had four manuscripts and half of my dissertation ready, and I stopped doing experiments only because my advisor said so “Stop it! I know you can do fifty more experiments but stop now, write your dissertation and get out”. It was a combination of things. First, that I’m not actually doing research, just writing. Second, three very important people in my life, my father, my grandmother and my grandmother in law, they died one after another. And that actually put me in clinical depression. But I was a macho male and thought that couldn't happen to me and it took a couple of years to me to realise that it was a real problem. But I had a family who took care of the house and me. And that was the moment when I started spending most of my awake moments online. That was my self-medication. By that time I was out, you know?, like I didn’t renew anything in grad school, so I was out. It was over. But I was now part of these online communities. So I was blogging about politics. When the 2004 election was over I decided that I was bored of politics but I was a scientist so I could write about science, so I started a science blog and that was an instant success from the very first post. And that was a life boat moment for me. Wow, there is interest for this, there is hanger for this and I’m writing it from a position of expertise, that people trust. So if I write about sleep or circadian rhythms, or animal behaviour or physiology I’m not just anybody, I’m somebody who has knowledge. People would trust that and will come to me with questions. And that’s how I became a science blogger and that lead a job for PLOS first for three years and now with Scientific American. Q: Actually my next question it is about the fact that you started blogging about politics but you switched to science blogging and I guess you already told me but what is the subject you love to blog about the most? A: You know people change. I’ve been blogging for seven years. And people change in their interests and their styles so I still like, when I have time and energy, to blog about animal behaviour and circadian rhythms but I blog even more about the media. So I write a lot about blogging and social networking, journalism, science communication and science education because that is something I’m passionate about so I get up early, I’m walking the dog and taking a shower and I round up these words. And over the years I acquired some of that expertise so I feel comfortable writing about that. I feel comfortable wrting about that and it is what I care about. So I write a lot about it. And when I have time ever now and then I write about science. Just for fun, just becasuse I like it. Q: And the last question. If you could give an advice to the newbies in science communication what would be, and also to the oldies, to the ones who have been blogging for a while. A: It’s tough this one. With the new bloggers I guess the big obstacle is confidence. And it’s hard to tell people to be confident. If they are not, they are no going to listen to you. So something I do a lot, and people really like, is that my blog reading sphere is not just reading the oldies. It’s actively searching for new bloggers, young bloggers, new voices. And when I discover somebody whose writing really appeals to me, those who nobody has heard about before and they get three hits a day, I take it to myself to promote them and also to keep in touch with them, to give them the boost of confidence. It’s like go for it. Especially now that with the Scientific American I run the guess blog it’s perfect. Let’s write something for the guess blog. And they often do their best work for it. Somebody said that Scientific American guest blog is like TED of science blogging because people put their best writing there. So this is a way for me to promote young and new voices until they don’t need promoting any more because they became confident, they learnt, they built networks, some of them actually got hired by the media and I feel so proud of them. That’s the reason why they call me a blog father because they are my blog kids that I’m so proud of. And some of them are now big famous bloggers and they started because I told them. I really love doing that and whenever one of those people succeeds is like my success. And the second half, telling the old bloggers what to do. The thing is the first rule in blogging is that you don’t tell bloggers what to do, what to write about and how to write it, because it has to come out of passion . Q: Well, It’s not what to do. It’s something that you miss or something that is not working. A feeling of the style of the old bloggers, or maybe it’s not just an advice, but something that you would like to point out to learn from. A: It’s very different to tell again because every blogger has a different goal. So for their purposes or reasons, they are probably doing it right and we cannot tell that they are doing it wrong. Some of them use the blogs to communicate to their peers. So they use a lot of details and that is fine. Some reach broader audiences and they are working on it and they are improving their writing style and that’s fine. 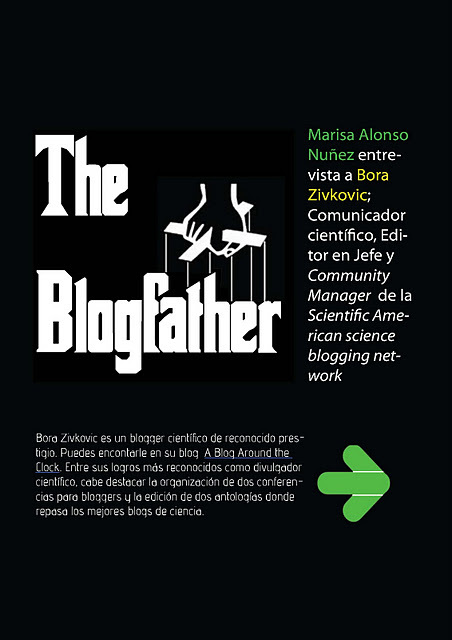 Others are blogging in order to provide support to different communities, especially for young researchers or women researchers as a minority of researchers to figure out how to navigate in the dangerous world of academia, how to succeed. So experienced scientists can be a lot of help for the younger people: how to write a grant proposal, how to choose your PI, how to present in a meeting to maximise your own chances for reaching your goals. So even if they never write about papers or they never write about news they are an extremely important part of the community and if they use strong language is fine with me, I’m not against strong language because some languages sometimes are needed to wake the structures up. One of the most linked blog posts of mine is titled “The shock value of Science Blogs” and is exactly about this. It has a traditional structure that people is just to it and how often crazy language and style of blogs gets people shocked out of that compliancy and makes them think differently. And that’s for the good. As you can see, interviewing Bora was a great pleasure for me and I learnt a lot about the science communication world. I really hope this interview has been for you as useful as for me. Finally I just want to point out the two characteristics Bora said about science communication: passion and knowledge. So, let's communicate science with passion about what you know.